There are 22 posts filed in Admin (this is page 2 of 4). I will be speaking at the NESHTA 37th Annual Conference in Rochester, New York on July 21. The title of my presentation is “Safe 6: Key to a Safely Working Environment.” The NESHTA Conference is being conducted in association with the 2015 PETE Instructor Conference. Please come to my presentation if you will be attending the conference. I had the opportunity to introduce Safe 6® to crew members of the Washington Conservation Corps earlier this week in the middle of Gifford Pinchot National Forest. They were taking a hazardous materials training course of which I was one of the instructors. The discussion was framed around the value of Safe 6® when taking on a new task. Realizing that even with days of training, not everything can be covered, Safe 6® can help an employee leverage experience and get the job done without mishap. That’s how Safely Working is achieved!! 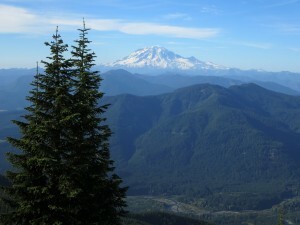 The Washington Conservation Corps is run by the Washington State Department of Ecology. Crew members are involved in trail maintenance, disaster response and a variety of other challenging and potentially dangerous pursuits. I met a lot of dedicated, hardworking people in the WCC during the class. I was very impressed. While we believe what The Safely Working Project is promoting is useful to all employers and safety professionals, our efforts are directed at those small businesses that can’t afford or don’t have a safety professional to facilitate workplace safety. A policy is a specific requirement that applies to all employees. It establishes a basis for the applicable conditions based on company requirements that may or may not be influenced by OSHA regulations. For example, All employees are required to wear safety shoes and eye protection throughout the facility except the office annex. A process is an operation or combination of activities and tasks that represent a product or service supplied by the employer. It may be manufacturing or well drilling. Ultimately, it defines an employee’s job and what they do at work. A program is a broad set of requirements, guidelines and controls developed for certain activities. These activities may be conducted on a frequent, occasional or infrequent basis. Examples of programs include training, respiratory protection and hazard communication. Typically, these programs have some origin or relationship with specific OSHA requirements. A plan is a specific set of requirements, procedures and controls. Plans are typically completed in preparation and anticipation of uncontrolled or emergency conditions where quick actions are required. A plan is necessary where there is not enough time to address the issue from scratch. Examples of plans include emergency action plans and spill control plans. These may also originate or are prompted by OSHA regulations. A procedure is a step-by-step means of completing an activity. It may or may not be referenced in a program or plan. There are procedures for many activities including welding, changing a tire and working at height. A practice is the performance of a specific task or step in a procedure, plan, program or process. It is where Sensible Care is applied by employees in the workplace. Practices include safe lifting, handling flammable liquids and using ladders. We’ve said in the past that the centerpiece of The Safely Working Project is Safe 6® which makes it relevant to each of the six points just described. The versatility of Safe 6® is that it can be applied to any of these points. The fact is, Safe 6® is an essential component in each point and should be used when preparing policies, plan, programs and the rest. It puts form and function on the Safely Working chassis! Building a chassis with Safe 6® and these points organizes all of an employer’s Safely Working™ efforts so an effective training program can be developed— not just what training is required, but who gets what training. Target employee groups can be identified and appropriate objectives for information, awareness and detailed training can be determined. That’s a very important topic for another day. We will be premiering our new 2015 Safely Working Poster soon. Check back next week for complete information. Free, No-Cost, Nothing to Buy, Nothing to Lose…… Go for It! What is it? “Safe 6” – A Simple Tool for Effective Employee Training for Safely Working. Who is it for? Trainers, Supervisors, Managers, Team Leaders, Employers and Safety Professionals. Why use it? Because no training is needed, it’s easy to use, it organizes training and it’s universal. How do you use it? Make “Safe 6” the Rule! Introduce with fanfare, or integrate it slowly into your program. Use “Safe 6” as a template and focal point in training for program development, preparation, delivery and evaluation. Where can I get more information? Click this button and you’ll have access to everything you need! Safety Should Not Be Proprietary! 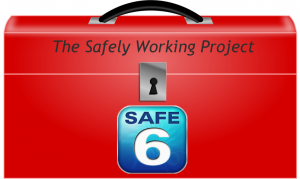 Safe 6 Featured in BLR Workplace Safety News…… Check It Out! Ana Ellington, Legal Editor, with Business & Legal Resources, Inc. (BLR) posted an article featuring The Safely Working Project and Safe 6 in their “Workplace Safety News.” BLR is a respected national publisher of compliance information and guidance for safety, environmental and HR professionals. We are extremely pleased that BLR chose to tell their subscribers and customers about The Safely Working Project. You can read the article at safety.blr.com.